On its splendid and enchanting royal journey through the bygone era of the erstwhile Maharajas. 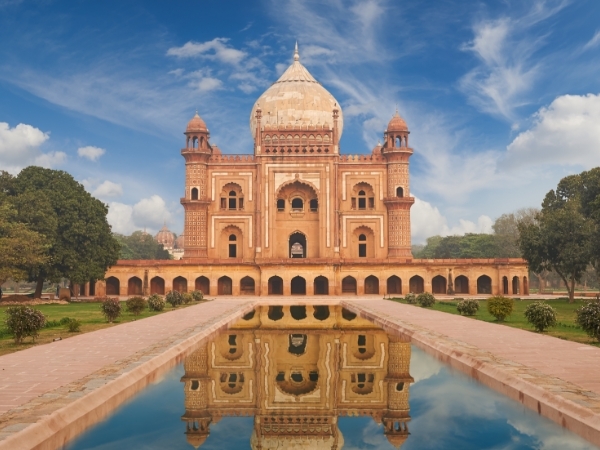 The Palace on Wheels luxury train journey starts and ends in New Delhi. 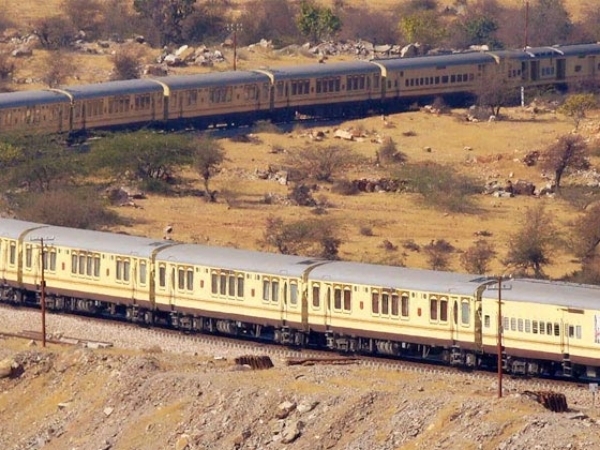 This train is in operation from September to April, and departing every Wednesday for a 7 night journey through Rajasthan. The Palace on Wheels is designed to give you the most out of your trip,with tours to UNESCO World Heritage Sites, wildlife safaris and bird sanctuaries to name a few. View all upcoming departure dates for 2019 - 2020. 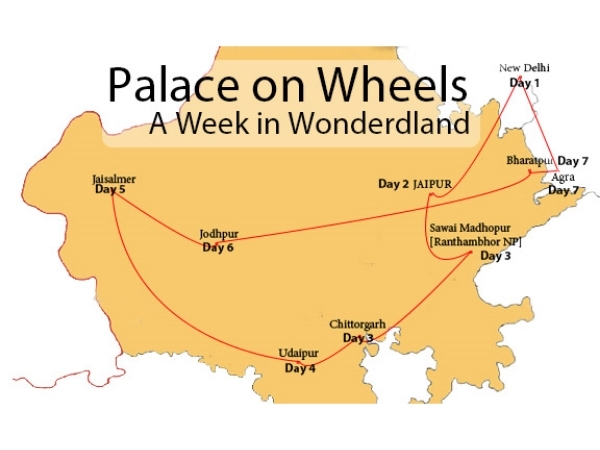 The History of the Palace on Wheels is as fascinating as its journey. A Train that once transported royalty now is known as one of the most prestigious luxury trains in the world, providing the world traveler a royal experience. 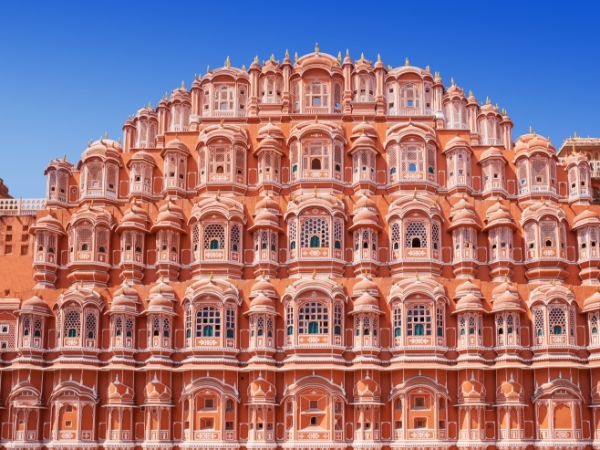 Departing every wednesday from New Delhi, this week long cruise through Rajasthan will cover some of the most enchanting destinations. Experience the timeless pleasure of our onboard accommodations. 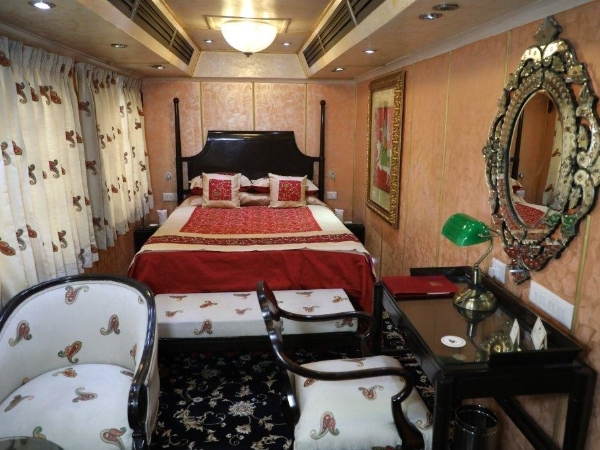 The Palace on Wheels has two styles accommodations, the Deluxe and the Super Deluxe Cabins (Presidential Suite). 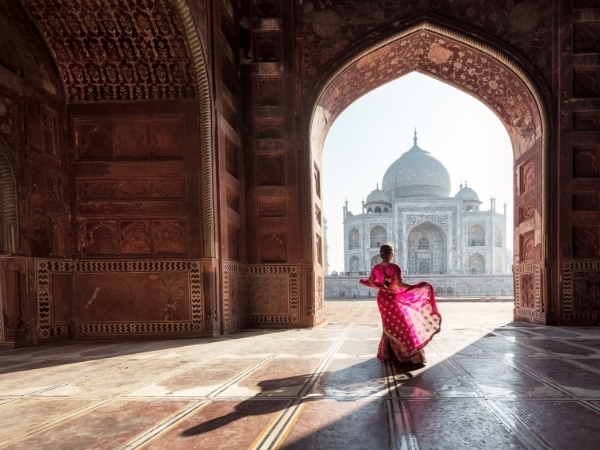 Need travel inspiration? We post daily travel photos that will inspire you to take your next vacation with us! Get updates on what’s new, changes and interact with fellow travelers.